Who were the Norse gods - the mighty Aesyr, led by Odinn, and the mysterious Vanir? In The Norse Myths we meet this passionate and squabbling pantheon, and learn of the mythological cosmos they inhabit. Passages translated from the Old Norse bring this legendary world to life, from the myths of creation to ragnarok, the prophesied end of the world at the hands of Loki's army of monsters and giants, and everything that comes in between: the problematic relationship between the gods and the giants, in which enmity and trickery are punctuated by marriages and seductions; the (mis) adventures of human heroes and heroines, with their family feuds, revenges, marriages and murders; and the interaction between the gods and mortals, as Odinn, the Allfather, betrays his human proteges in order to recruit (dead) heroes for his army. 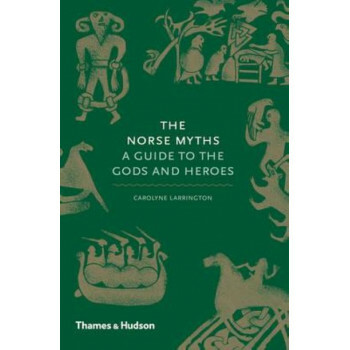 Carolyne Larrington describes the myths' origins in pre-Christian Scandinavia and Iceland, and their survival in artefacts and written sources, from Old Norse sagas and poems to the less approving accounts of medieval Christian writers. She traces their influences into the work of Wagner, William Morris and J.R.R. Tolkien, and even the recent Game of Thrones in the resurrection of the Fimbulvetr, or 'Mighty Winter'.